1. What are they for? 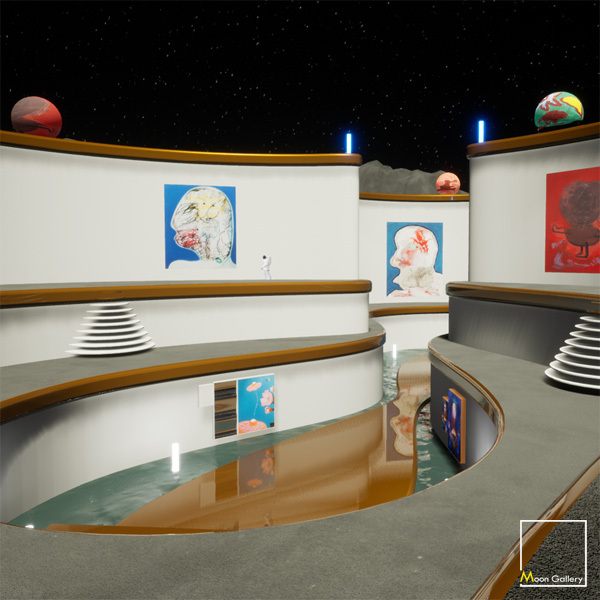 Virtual galleries can be used to share artwork, introduce artists, make sales and offer unique experiences to your audience. They are also a great way of making the most of your space by using interactive displays, for example at art fairs or as part of an exhibition. They can also be used to create video high-quality video content and images, for visualising, planning and promoting exhibitions. Find out more about why they are perfect for Exhibitions, Sales, Live Events & Planning on our prices page. Artists: Show, share and promote your artwork. Introduce yourself with text, images, audio recordings and video – and build a conecction with your audience. Easily link your artwork with your web page or social media profile. 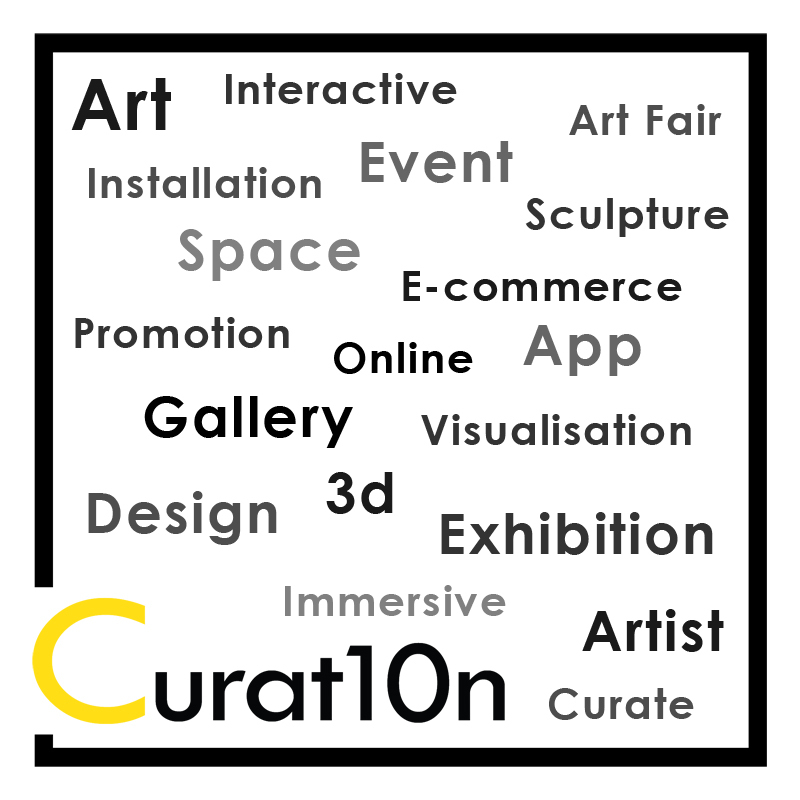 Integrate your virtual exhibition with an online store, either by listing your work in the Curat10n shop or by linking it with your own e-commerce site. Create unique content by recording videos and taking images from your virtual gallery, and use it to promote your work through social media and the power of the web. 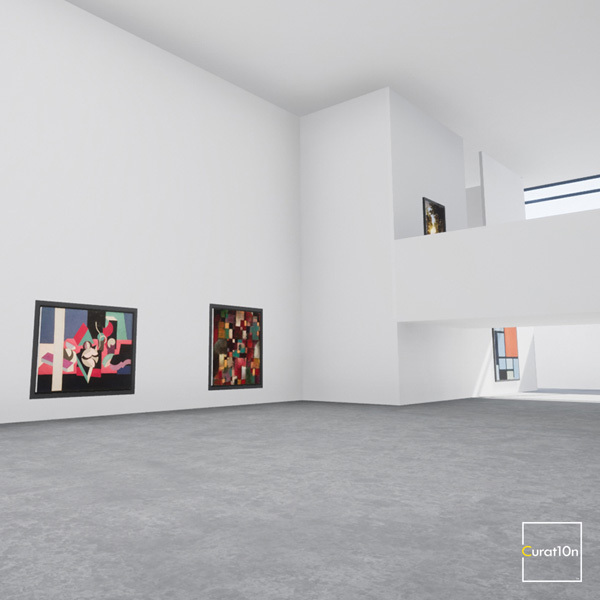 Gallery owners: Accurately measure and re-create your gallery space in virtual 3D. This can then be used to visualise exhibitions and produce videos and images for sharing and promoting your shows. It also offers a way to preserve and archive every artwork selection, making it accessible even after the real-world show has been taken down. Real-world spaces can also be adapted, for example to test new layouts or in preparation for art fairs and trade fair stalls. 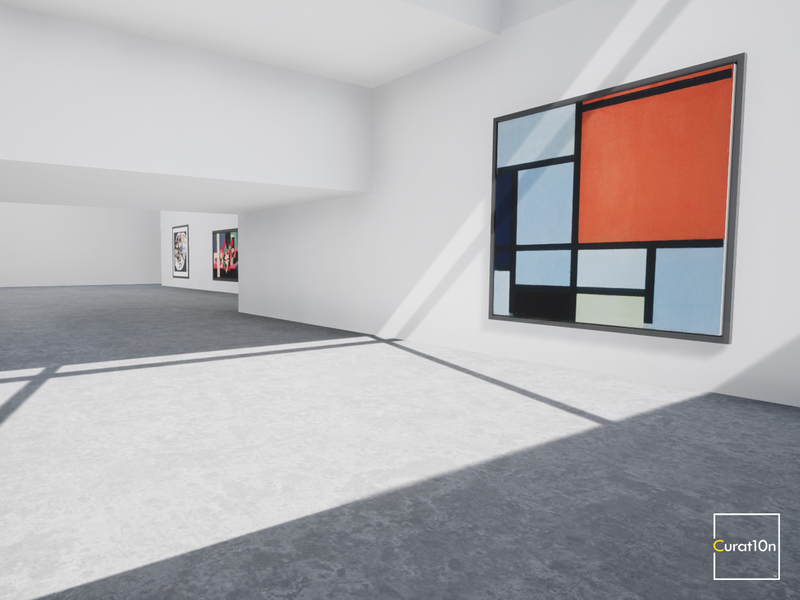 Curators & Exhibition Designers: Visualise your gallery space and easily move or resize artwork. Develop and view your exhibition designs before transporting, purchasing or comissioning artwork. 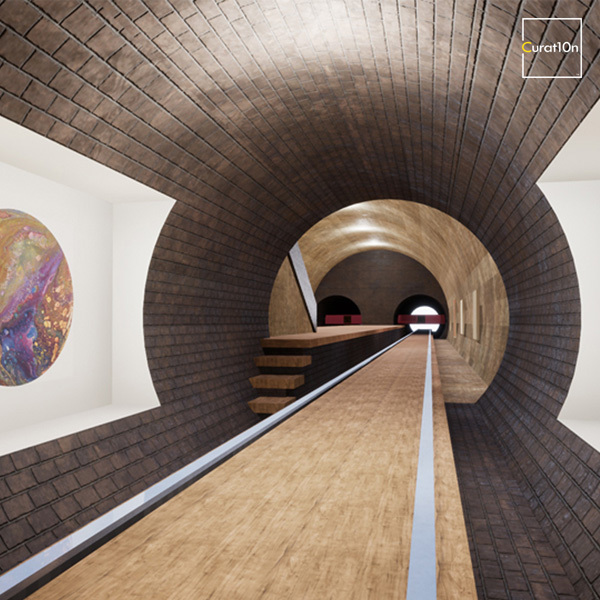 Keep your artwork selections virtual and create new exhibitions to share with audiences around the world. Art Dealers & Online Stores: Artwork, books and other merchandise can be shown as part of avirtual gallery. This can then be integrated with an online store, with items being listed on the Curat10n Art Shop or on your own e-commerce site. Users can then easily add items to their cart and make purchases through a secure online checkout. Art-lovers & Exhibition Visitors: People have greater access to art, from more locations, at a lower cost, and with th epootential for a more diverse selection of artists and artwork. Users can also buy artwork or pay for unique interactive experiences. 3. How do people use them? The possibilities are almost limitless.  You can see examples of some virtual gallery projects we have produced on our “Curat10n In Action” page. Find out more about how interactive exhibitions are developed on the “Story of Development” page.  If you have a new idea for an immerive or interactive application that you would like to make, please contact us to discuss it. The cost of producing a virtual gallery depends on the features that are included. Almost anyone can afford their own unique interactive exhibition. Hire display and computing equipment. Get help with set-up and event support. 5. What are the features? There are many possibilities, depending on whether you want something that is functional or whether you want to get really creative. You will find a general description of our services on Art Services page. This are also detailed descriptons of the features that can be included in an interactive project on the Design Features page. If you are looking for inspiration than I suggest looking here first and also checking out some of the galleries we have made already for public release. If you have an idea of what you want, just ask us and we’ll tell you if it’s possible. If you can imagine it then there’s usually a way of making it a (virtual) reality. You can take a look at some examples of the galleries we have designed on the Gallery Spaces page.